Yaupon is the only caffeinated plant native to North America. 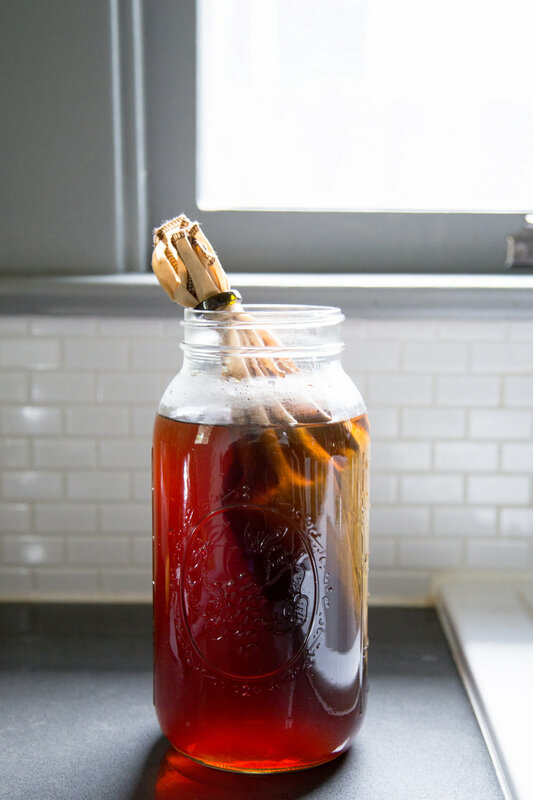 It was consumed by Native Americans and early settlers to the U.S. and makes a delicious hot or iced tea, or if made stronger, a coffee alternative. We make a light roast and a dark roast. The flavor of the dark roast is somewhat similar to a black tea but has sweet, smoky notes, and the light roast has a greener, brighter flavor. Both have a hint of natural sweetness because yaupon has a lot less tannins than traditional tea. Prepared at a teaspoon per cup, its caffeine level is around that of a green tea, but it can easily be made stronger. It is a relative of the South American yerba mate and has a similar effect, although many people like the taste of yaupon better. In addition to caffeine, yaupon is also high in theobromine, the mood elevator in chocolate, and the balance of theobromine and caffeine gives a nice, jitter-free buzz. Itís a natural source of antioxidants to boot! We wild harvest our yaupon just 30-40 miles outside of Austin in the Lost Pines Forest area of Bastrop, Texas, where cutting back yaupon has positive environmental impact. Weíre harvesting our yaupon mostly on properties where clearing yaupon is beneficial for the endangered Houston toad. The Houston toad needs native grasses and forbs for its breeding ground, and we help clear out yaupon that has taken over those areas. Clearing yaupon is also helpful for the Lost Pines Forest! After the fires there a few years ago, the yaupon is now growing back faster than the pines and taking over some areas, so thinning yaupon gives the pines a chance to grow back. It also helps with fire prevention. In the Lost Pines Forest, yaupon is an understory to the pine trees. Since humans suppress the natural fire cycles, yaupon grows unchecked and gets out of control, serving as a "ladder fuel" that makes fires much worse when they do happen. Thinning yaupon mimics the natural fire cycles that keep the underbrush maintained. We help the forest and the forest helps us!